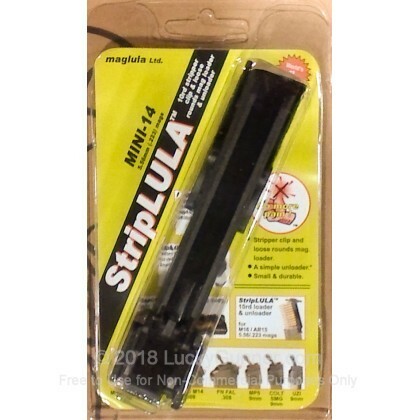 This magazine loader manufactured by the famed Israeli Maglula will be sure to help you load your magazines quickly and efficiently so that you can spend more time at the range shooting. 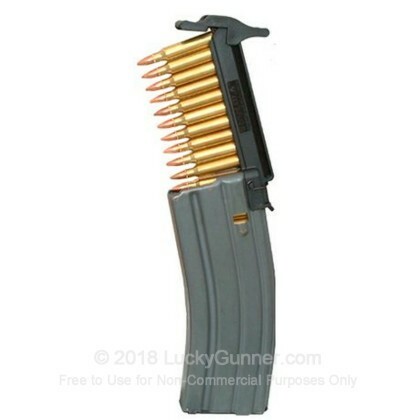 This is designed for Mini-14 5.56/.223 rifle magazines and is able to load 10 rounds at a time. This facilitates quick loading of magazines saving sore thumbs and enabling you to speedily load your mags. This is a must have accessory for any range bag . . . . your thumbs will thank you later! For a demonstration of this product, click play on the below video!